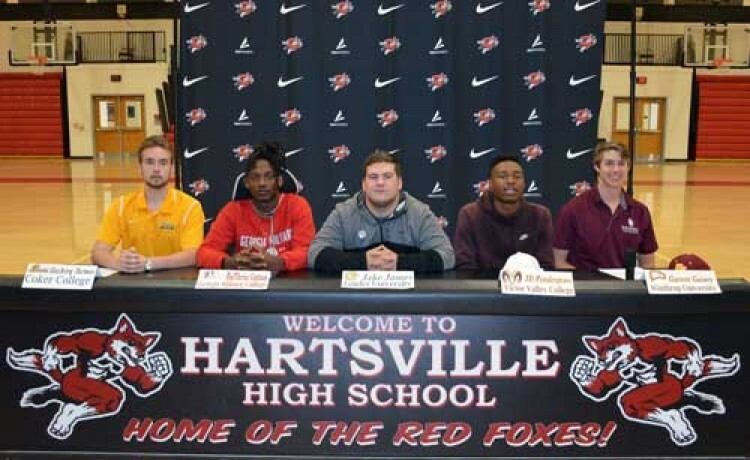 Five Hartsville High School student-athletes signed letters of intent Wednesday, March 20, to play collegiate sports next year. HARTSVILLE, S.C. – Hartsville High School celebrated five student-athletes who signed letters of intent Wednesday to play collegiate sports. Family, friends, fellow students and teammates along with coaches participated in the event that highlighted four different sports programs. 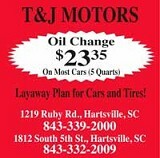 The signing ceremony was held in the Hartsville High School arena. Zachory Farmer will remain local as he heads to Coker College to play soccer. Garrett Gainey committed to Winthrop University to play baseball. 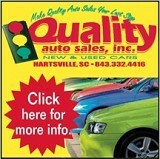 Rod’Darius Gattison will head to Georgia Military College to play football. Jake James will join the wrestling team at Lander University. J.D. Pendergrass will continue his football career at Victory Valley College.